Beautiful Rubens Model home, located at Grand Isle at Sunset Lakes. 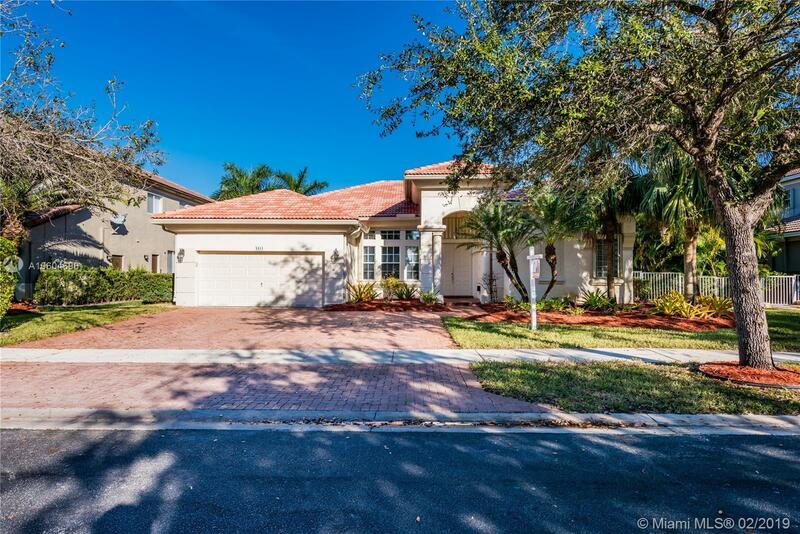 This 5 bedroom, 3 bathroom pool home features a great lake view. Lots of upgrades. Custom window treatments, crown molding, upgraded tile flooring. Beautiful tropical landscaping with gorgeous pool and patio area, overlooking a peaceful lake view. Move in ready. Selling Office: Truth Real Estate, Llc. Courtesy of The Caspi Team Realty, Inc.